The summer is slowly but surely working its way to a close. Even though the days are still sunny and hot, the nights are longer and cooler. I’m more than ok with this as I’m not a summer kinda gal. I feel like a better person when I can easily wear sleeves without feeling like I might drown in my own sweat. One thing I do love at this time of the year is the last ditch effort to release a final summer song. No matter how light and boppy they are, when they’re put out at the end of August they all feel a bit nostalgic to me, like a memory of the summer rather than a current experience. 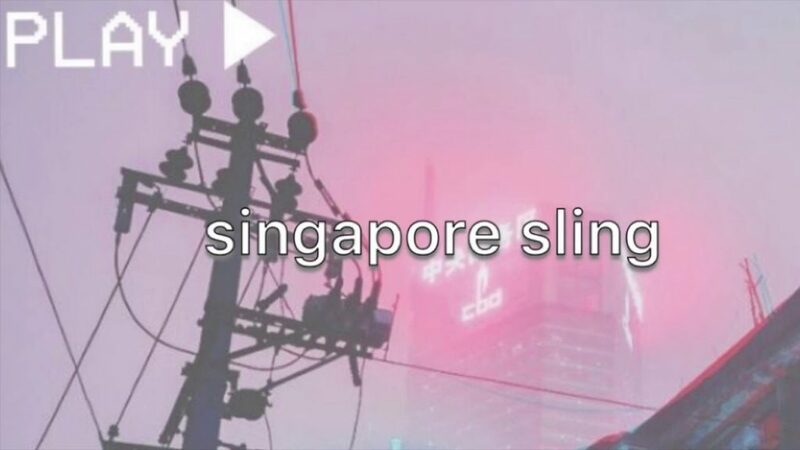 Just this last week, Eluphant, a duo on Brand New Music, put out a jazzy little hip-hop number, Singapor Sling, that delights me to no end. Kebee and Minos are joined by Esbee, also of Brand New Music, in a romp through Singapore. Honestly, it’s like an add for one of my future trips…think slightly more in my price range than the activities we saw in Crazy Rich Asians. Minus the food trucks. I can afford the food trucks. Not a shock considering the title of the song, but the lyrics are largely about enjoying the mood of the country while parsing out your adventures between cocktails. The mood is red…like a Singapore Sling. They bounce back and forth between the idea of enjoying all of the stuff you can do and taking the time to just relax and kick back…this is all about escaping the crowded, polluted streets of Seoul to a cleaner more laid back atmosphere. It’s an escape that knows that it’s term-limited. The last line is “Pour the drinks, I’ll be right there.” Despite preferring my drinks unmixed, I’m considering adopting that as my mantra. I NEED to have this vacation! Between this and Crazy Rich Asians, Singapore has definitely climbed up the list of to be visited locals.